New Feature Of Photo Stream: Catching Technologically-Challenged Criminals. I wonder if the late Steve Jobs and/or the team at Apple had any idea that some people’s technologically-challenged bent would come back to haunt them via ICloud and one of its most frequented services, Photo Stream? 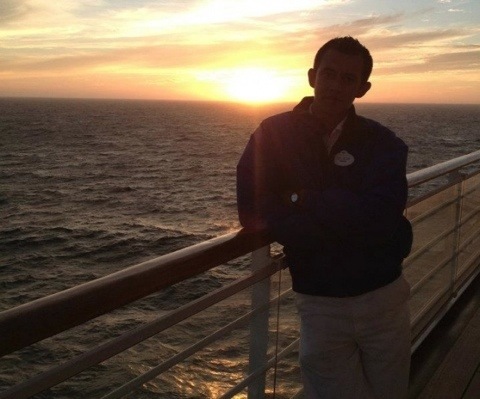 According to Tuaw.Com, a guy who works on a Disney cruise ship stole someone’s IPhone and then proceeded to take his own pictures. But the fun is just beginning. The original owner, Katy McCaffrey, started to see these same pictures appear on her Photo Stream album located on her computer and, surprisingly enough, on her Facebook page. Yes, the culprit didn’t disable the Photo Stream option on the phone nor did he realize that uploading these pictures to Facebook would automatically access the original owner’s Facebook page. He even named the page “Stolen IPhone Adventures”. The captions, written by owner, Katy McCaffrey, are just hilarious. I think there should be a rule out there: no stealing iDevices unless you sign up for OneToOne training at the Apple Store. This is the best story ever! It’s my feel good story going into the weekend. Needless to say, this person is no longer working for Disney. But, you already knew that, didn’t you?